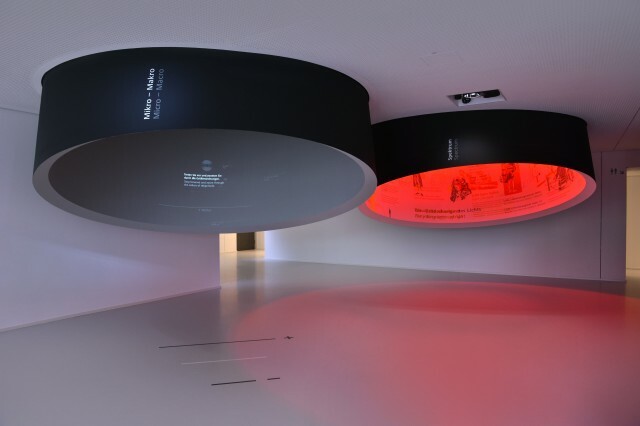 An interactive installation was developed for the new ZEISS Museum of Optics in Oberkochen. It allows visitors to explore the known orders of magnitude in an interactive way. The user controls the zoom via the distance from the projection surface: zoom-in by getting closer, zoom-out by stepping back. The project was realized in collaboration with TheGreenEyl (Concept, Art Direction, Production).